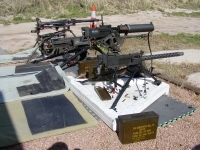 Forget Call of Duty and Medal of Honor video games, these are “Machine Guns” you can shoot at the Family Shooting Center! COME SHOOT A PIECE OF HISTORY!!! 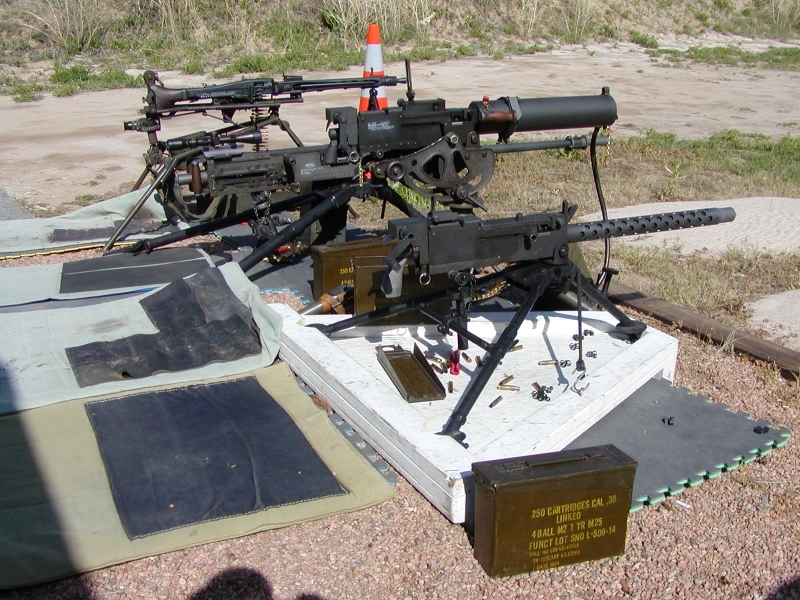 WWI, WWII and Korean vintage guns are not just on display at the Family Shooting Center. They are cocked, locked and ready to rock!! On selected days the guns pictured can be shot by you and your family. Costs to shoot are per round or by quantity of rounds. Call in the morning on the day you plan to shoot to make sure the guns will be at the range. A range fee is not required to shoot the guns. Don’t be afraid as they are safe, easy and fun to shoot. 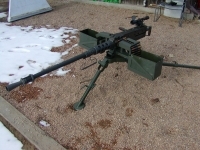 The guns are mounted on tripods with fixed impact points and virtually no recoil is felt. Bring your cameras and video equipment!!! The guns are configured in semi-auto mode. You can still get the “machine gun” experience with the 1919 (.308) as it has an Emory Crankfire attached. 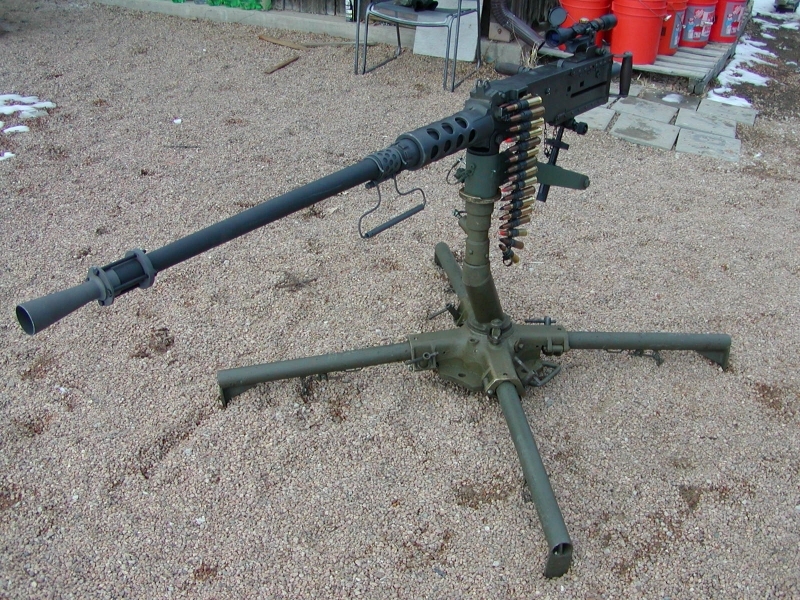 So, by turning the crank, one can achieve rates of fire of about 350 rounds per minute. 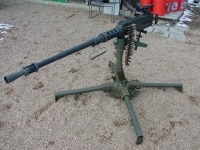 The Family Shooting Center's M2 .50 BMG "Ma Deuce" is also available to "bark". This semi-auto WWII converted anti-aircraft gun can be fired at about 300 rounds per minute. Water jugs are targets for the machine guns so you can enjoy the experience of reactive targets and rapid fire. The costs of shooting covers the cost of the ammo, rental time, wear & tear on the guns, and time with our certified NRA instructor and machine gun Guru. Our instructor will be with the shooter the entire time they are shooting the guns. Feel free to ask questions about the guns and their history if you are curious. Groups like bachelor parties and corporate team-building events, or just small motivated groups can arrange to shoot the guns on days other than scheduled days by making arrangements ahead of time. Call the office to arrange a special shoot.